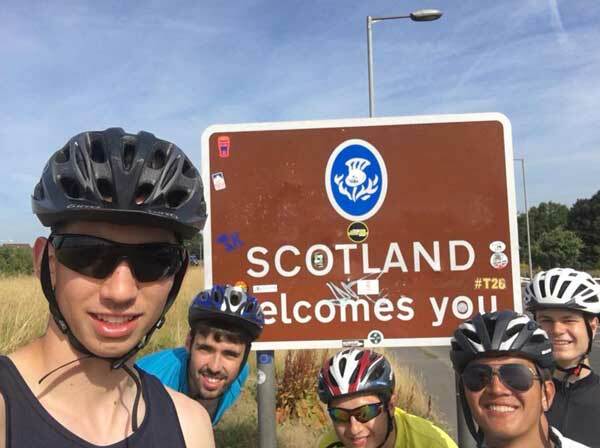 On 12th July, five recent Blue Coat leavers hit the road in Land’s End, to cycle 950 miles to John O’Groats, over 14 days, to raise more than £4,000 for the Alexander Jansons fund. The Alexander Jansons Fund raises money for research into myocarditis, an inflammatory condition of the heart, which can affect otherwise healthy people. In the summer of 2017, Loic Pohl, organised a group of his classmates to kayak the length of the Thames as the first of what he hopes to be many annual endurance events to raise money for the Alexander Jansons Fund. 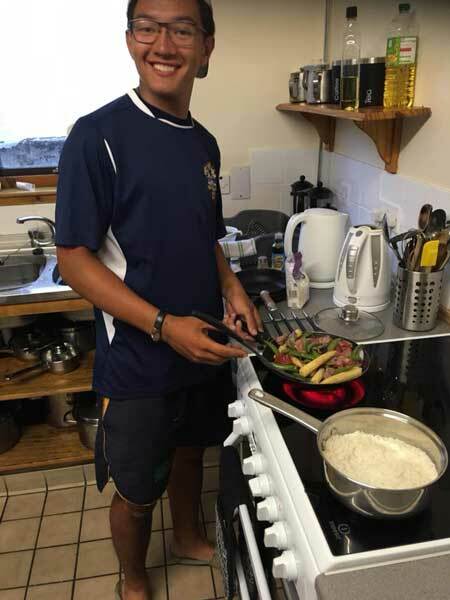 “Because myocarditis usually affects young men who are healthy and fit, it seemed right to choose challenges that are all about fitness, good health and endurance”, Loic says, “and the Alexander Jansons Fund is where my dad volunteers”. 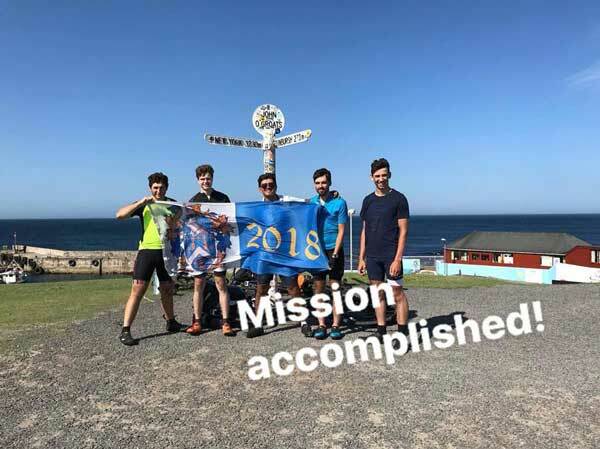 Loic sent out a message about the intended cycle ride to his year group in January this year and nine people responded; four of whom ended up taking part with Loic: James Hastings and James Still (who also kayaked the Thames last year), Ed Martin and Ewan Morgan. James Still became known as “the king of the hills” because of his ability to get to the top so quickly. “It’s because I’ve been cycling every day for a year”, he says, “and training in earnest since our first meeting about the trip in January”. A series of more than 20 punctures meant many stops along the way for the group and, frequently, long days. “There were two particular days when we had to cycle 80 miles”, says Ed. 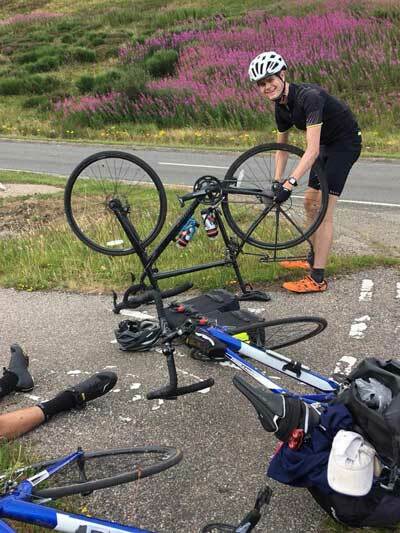 “On Day 4, we had loads of punctures, which set us back and we ended up having to cycle 46 miles in the afternoon. We arrived at our accommodation at about 8pm – and we were SO happy to get there”. For Ewan, the best part of the journey was “getting there” and he was pleased that he could knock it off his bucket list. For James Hastings, memorable moments included the “very pretty views in Scotland” – and a stop at a pub in Leominster to fill their water bottles, when the pub landlord, on discovering the nature of the group’s journey, took a beer mug around to all of his patrons and asked for donations; he raised £25 for the charity. When the group arrived at John O’Groats at the beginning of Day 15, their parents were there to greet them at the end of their journey.